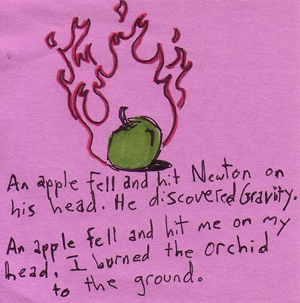 "An apple fell and hit Newton on the head. He 'discovered' gravity. An apple fell and hit me on the head. I burned the orchard to the ground. (apologies for the bad spelling in the art)"